Homeopathy has important role to offer; symptomatic and possibly disease modifying role. Cyclic neutropenia is a rare congenital (since birth) blood disorder characterized by abnormally low levels of certain white cells (neutrophils) in the blood. It presents itself with recurrent infections in the body like repetitive episodes of fever and mouth ulcers. It occurs in 1 in 1 million people in the world. Cyclic Neutropenia is caused due to autosomal dominant inherited mutations in ELA2 gene. This is the gene which encodes the gene neutrophils elastase. The gene is released when the body attempts to fight against any infection in the body. But due to their absence, the bone marrow needs time to replenish the neutrophils supply. This neutrophils deficiency tends to occur every three weeks and lasts for three to six days. Patients suffering from cyclic neutropenia have these symptoms only during the cycle. They remain asymptomatic otherwise. It is to be noted that the above-listed symptoms may improve once the puberty sets in the child. Patients with cyclic neutropenia or suspected individuals should be genetically tested for ELANE gene. Blood investigations like complete blood count, total leukocyte count, and differential leukocyte count should be performed. The neutrophil count should be monitored twice in a month. A drug that stimulates the bone marrow called recombinant human granulocyte colony-stimulating factor for neutrophils production (Rhg- CSF) can be given along with antibiotic therapy to control recurrent infections. Another drug Neupogen (Filgrastim) has been approved for the treatment of chronic neutropenia. Genetic counseling can also be done in order to know the genetic status of the patient. A supportive and symptomatic relief can be given to patients with cyclic neutropenia. Homeopathy can help to boost the immunity and improve the general well being of the patient. A good control can be achieved in the recurrence and frequency of the infectious attacks in the patients. The intensity of the symptoms as well as the time duration of the illness can be reduced which will improve the quality of life. Moreover, oral and dental care is very essential. Patients with chronic neutropenia should take care from afflicting any major or minor injuries. We at Life Force have recorded one case of cyclic neutropenia. We are currently treating a child who is recently diagnosed with cyclic neutropenia. A sweet little girl aged four years Miss M.S (PIN NO: 25734) reported to Life Force, Chembur, Mumbai on 20th May 2015. 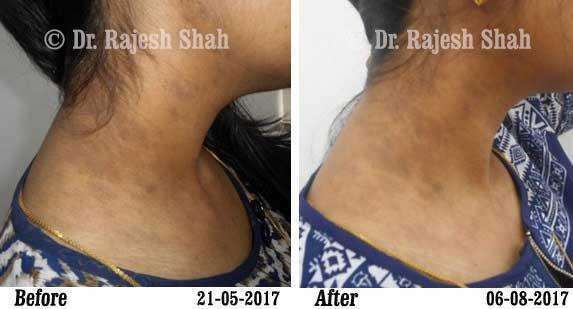 She was suffering from Oral candidiasis (A fungal infection of the mouth) since two years. She started treatment at Life Force for the same. The ulcers had a white base accompanied by pain to an extent that it would be difficult to open her mouth. 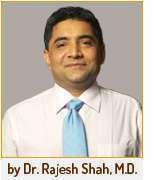 The oral ulcers would get better with Dr. Shah’s medicines but again return back after a certain period. A time came that the ulcers kept increasing along with complaints of tonsillitis and fever even with the continuation of medications. 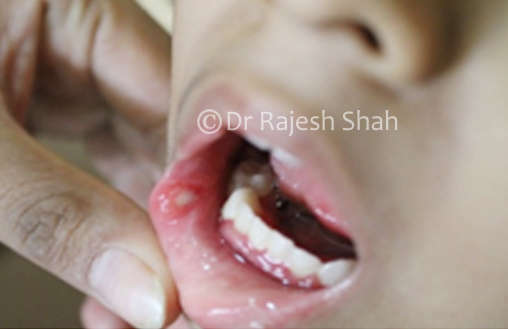 Dr. Shah perceived it as an alarming sign and immediately advised the patient to take an opinion of a pediatrician for further evaluation and investigations. The pediatrician and haematologist opined and diagnosed the condition as “Cyclic Neutropenia” after investigating components of blood. The child is currently continuing treatment for the same along with conventional treatment.